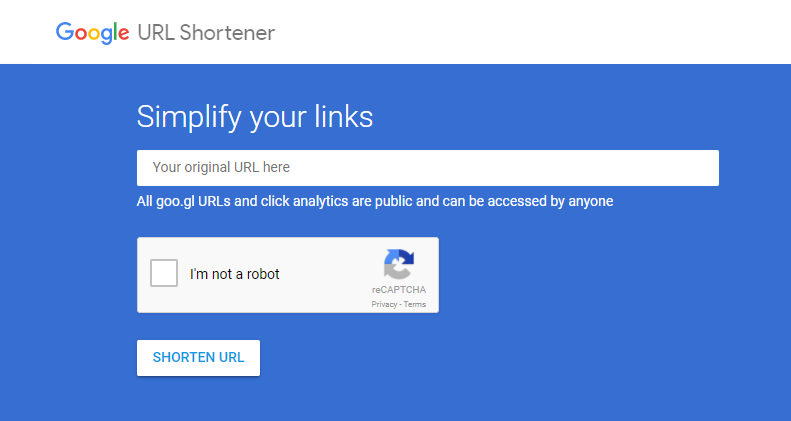 What is Google URL Shortener? 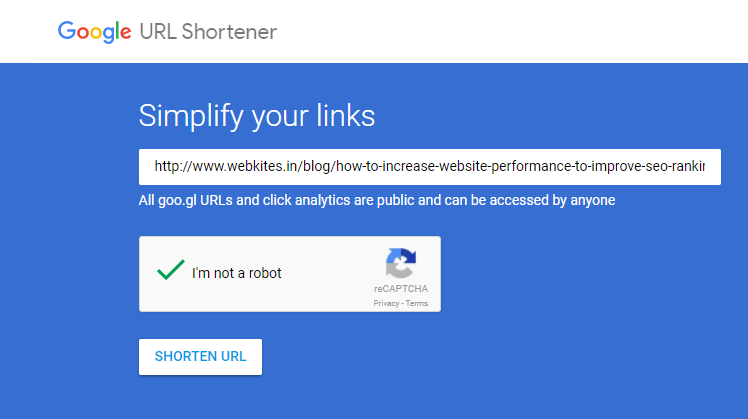 Google URL Shortener stands for Universal Resource Locator. 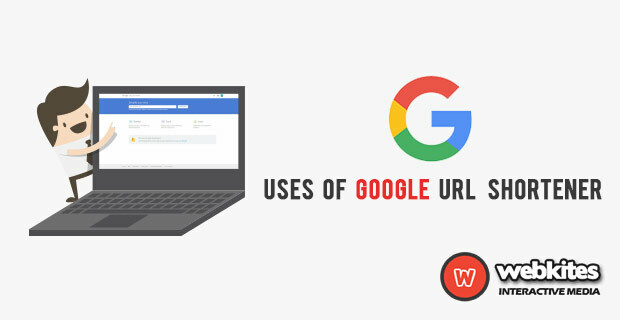 It is also known as goo.gl and is a URL shortening service offered by Google. It compresses the long URLs into fewer characters to make a short URLs that can easier to share, tweet and e-mail to friends. Users can easily make their short links at goo.gl or they can programmatically make them through the URL Shortener API. Users can able to write applications to use HTTP methods to create, inspect, and manage goo.gl short links from the desktop, mobile, or web through the URL Shortener API. Sometimes, the URLs are clumsy and unattractive. They don’t make readers to understand and destroy the attractive of everything. Most importantly long URLs don’t add worth to anyone. Using a URL shortener is needed, because it’s better when the URLs are smaller and requires a small amount of space only. If you are sharing a link to your blog. By tracking the performance of the links, easily we can understand what their audience is engaging with and adjust their strategies accordingly to the business. Using a long URLs in an email is not at all fair to the readers. Using shortened URLs in an email can turn a much more readable message to the readers. Using a shortened URLs in your posts is a must. When you use a shortened URLs, there will be more space to write a detailed description of your services, messages or marketing. So that easily you can share your thoughts on Facebook, Twitter and other social media. Shortened URLs make much easier to share, which promote sharing as well. We hope many shares as possible when we post. Warning message if the short URL points to a suspected malware, phishing, or spam website. Reliable service with good uptime. It is used to track the number of clicks for your link. Fast resolution of short URLs (in a few milliseconds). First, go to the website of https://goo.gl. Next, place your long URL in the given field, confirm that you are not a robot and click shorten URL box. 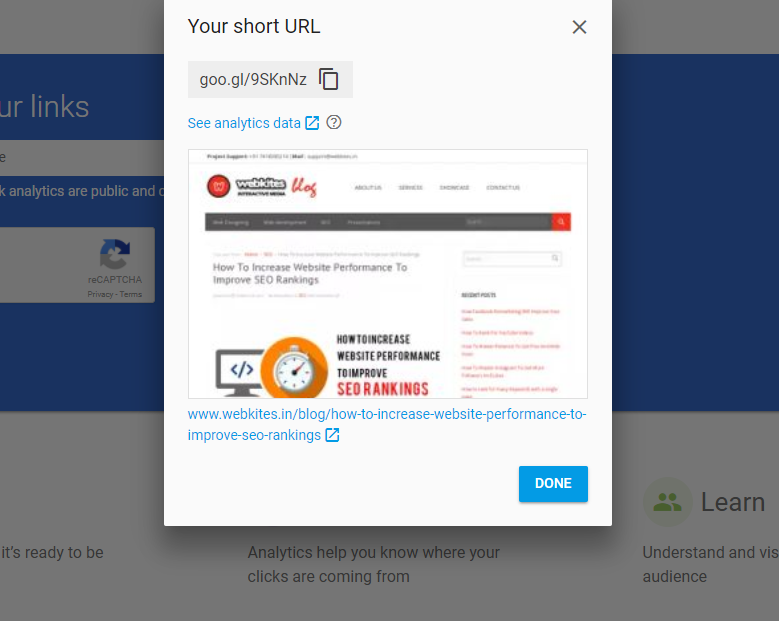 After that, you will get a popup box with the shortened URL and details of the given URL. Finally, copy the URL and click done. Please mail to support@webkites.in or contact us through www.webkites.in to rank your website top in Google.